Garry Hebert is regarded as one of the top power skating and skills coaches in the world today. Known for his deep faith, Garry is also a featured spiritual singer and inspirational speaker. Garry became the complete hockey player himself due to the rare integration of both figure skating and hockey background. His mother is a renowned figure skating pro who trained Garry on figure skates until the age of ten. Honored as an All-American and Hall of Famer out of Thayer Academy, Garry played his Division I college hockey at nationally ranked University of Vermont where he was a top recruit and standout. Garry was scouted by the Montreal Canadiens as “the best pure skater in North America and Europe” at the age of sixteen. 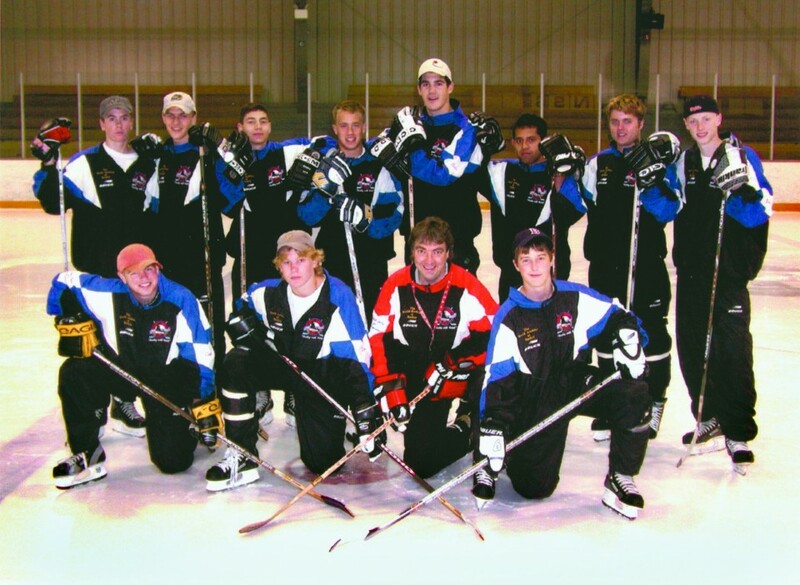 He was on the fast track to the NHL before a serious off-ice injury ended his playing career. However, the Boston Bruins invited him to training camp as their power skating and skill development coach in 1991. Shortly thereafter, Garry founded The World Academy of Hockey. His renowned “Inside Edge Skills Series” is an extraordinary success and ranks Garry as one of the world’s elite specialists in the field today. Coach Hebert is now internationally recognized as a top consultant to NHL pros, Olympic athletes, and collegiate players. Garry has been a multiple time championship coach at varied levels including a dramatic NCAA college title. His world-class expertise is esteemed by coaches and players alike. Coach Hebert has carved the reputation as “Mr. Fire on Ice” for his passionate ability to inspire player development as well as for his unforgettable speeches and gifted demonstrations. Garry is also the co-founder of the prestigious Hockey Humanitarian Award given out annually to the finest citizen in all of college of hockey, presented the same day as the Hobey Baker Award and featured on ESPN. Acclaimed as one of the best skaters and stickhandlers you will ever see, Garry’s enthusiasm and depth of expertise reveal a passion for helping each player reach his or her full potential. Garry was scouted by the Montreal Canadiens as “the best pure skater in North America and Europe” at the age of sixteen. On the fast track to the NHL, Garry suffered a serious off-ice injury which ended his playing career. He was then invited to work with the Boston Bruins and ultimately founded the World Academy of Hockey. Seeing is believing! Garry dazzles players and coaches alike with his unparalleled skill, precision and motivation. He seamlessly blends encouragement with corrective analysis. Without a doubt, Coach Hebert’s progressive creativity translates into valuable improvement. Garry consistently makes a positive and lasting impact on the lives of his players who often consider him one of the most inspirational coaches/mentors they have ever had.